People have been expecting this for over two years now, but Creative Assembly and Sega have finally gone and announced a Total War: WARHAMMER game. In about the most anticlimactic way possible. Like I said, we knew this was coming eventually. And before you freak out that this signals and end (or at least a pause) in the studio's historical games, remember, the team making this Warhammer game is new. It'll be interesting to see how they handle it. 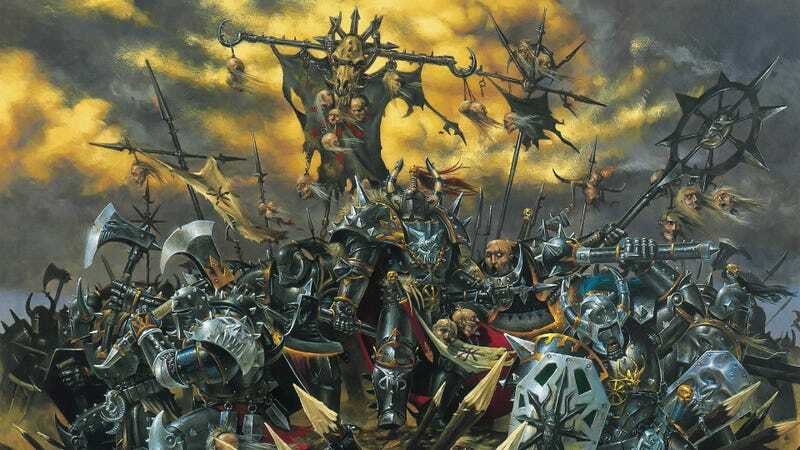 Games Workshop's fantasy universe has never been as popular as Warhammer 40K, and yet its setting — epic battles made up of footmen, knights, etc — lends itself perfectly to Creative Assembly's brand of warfare. We're contacting Sega for comment, and will update if we hear back.